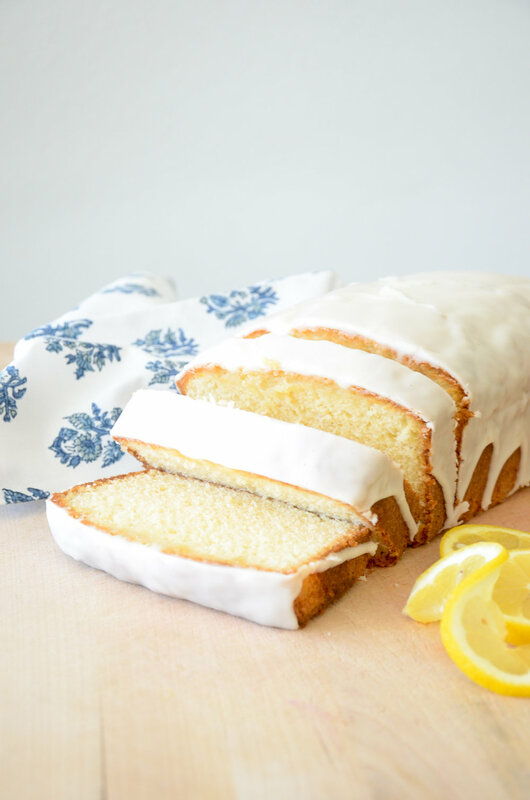 I cannot think of a more pleasant, well-mannered, delightful cake than Lemon Loaf Cake. Even the name sounds like the kind of thing you want to share with a friend or bring to a new neighbor. I love this cake, and I want you to love it too. There are three components, but do not let that thwart your best intentions. You can do this. There is a cake batter, which gets baked, and then ten minutes after emerging golden and perfect from the oven, it gets bathed in lemon simple syrup (which you can make in the microwave, by the way), and cools completely while drinking in all that syrupy goodness. When the cake is cooled, the finished product is drizzled in a lemon glaze which, if executed correctly, will both stay atop the cake and drip down the sides, basically elevating you to the upper echelons of the domestic arts. Can you taste the frenzy of lemon goodness? The cake is tender and moist, doused in sweet syrup, and the glaze is everything a glaze should be. Picture perfect, don't you think?